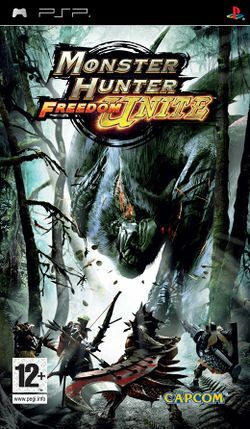 Monster Hunter Freedom Unite is a 2008 video game in the Monster Hunter franchise for PlayStation Portable. It is an expansion pack of the original Monster Hunter Freedom 2 and was released on March 27, 2008 in Japan as Monster Hunter Portable 2nd G (モンスターハンターポータブル, 2nd G, Monsutā hantā pōtaburu 2nd G?). The game was later released on June 23, 2009 in North America and June 26, 2009 in Europe. This page was last edited on 26 April 2010, at 15:12.